One thing we would like to see is the international community lobby the government to revise its policy, and to advocate for drug factories to sell medicine at a reasonable price. When I began experiencing Parkinson’s symptoms in my thirties, I didn’t know what was happening to me. I had difficulty walking and was frequently falling, and within a few months my body became particularly rigid. I visited every health institution in Addis Ababa, Ethiopia – specifically ones with neurologists – but no doctor could diagnose my symptoms. I travelled abroad to Saudi Arabia, but the results there were the same. So, I returned home feeling very disheartened. Ethiopia is a very traditional and religious society – many people believed my Parkinson’s symptoms were the result of bad spirits. They instructed me to be taken to the holy water for a cure. Eventually, I travelled to the US and that’s when I found out I had Parkinson’s. It was the first time I had heard about the condition – and I realised I was a victim of a lack of information. I didn’t want others in Ethiopia to suffer like me, so I decided to do something about it. At the time of establishment in 2011, PPSO-E was the first Parkinson’s organisation in the country and the second in Africa. Our goal at PPSO-E is to help people with Parkinson’s and their caregivers to live a better quality of life, by supporting them with information and medication. We are based in an office in Addis Ababa, the capital of Ethiopia, and currently have eight members of staff and 550 members of the charity. Three years ago, we also joined the World Parkinson Coalition, an international forum on Parkinson’s. PPSO-E organises a number of activities including workshops and meetings to raise public awareness of the condition. Through doing so, our work has helped to break some of the stigma around Parkinson’s in Ethiopia. We also provide training for patients and caregivers on how to manage Parkinson’s – and we offer consultation services by telephone and home visits. One of our biggest problems is a shortage of funds, which are necessary to maximise our intervention and expand our work outside Addis Ababa. Another challenge is the lack of support from the Ethiopian government. 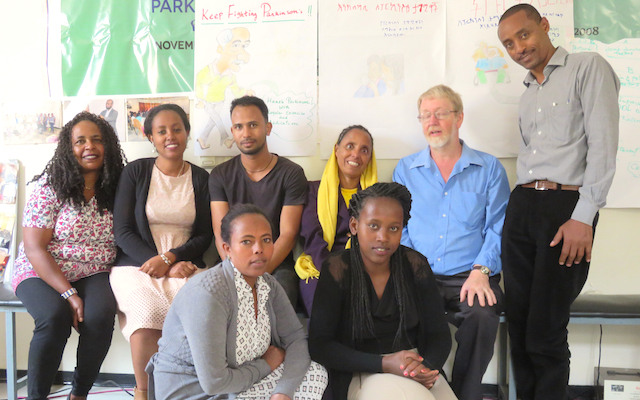 Although we are trying very hard to increase awareness of Parkinson’s in Ethiopia, our coverage is very limited – and there are still many misconceptions about the condition and the people living with it. A lack of proper information for patients also hinders our organisation. Misconceptions about the condition prevent people from going to health institutions and receiving proper treatment – which is vital to their quality of life – and this has negatively affected our work. 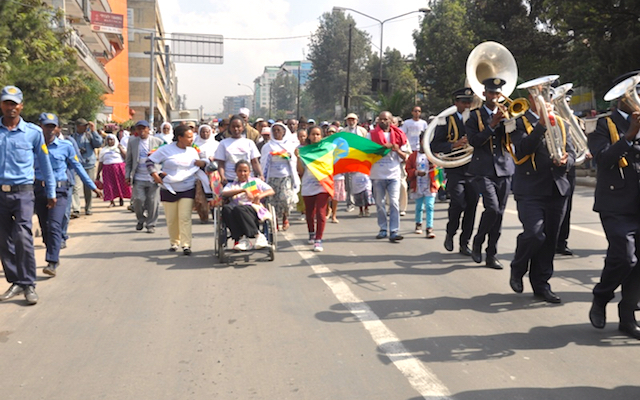 It is not easy to create awareness in a traditional society like Ethiopia’s. It is difficult to change age-old beliefs with only a few years of work. To be successful, we need the concerted effort of all stakeholders. Parkinson’s drugs are imported by the government and by one private pharmaceutical – who provide us with a small amount of money to celebrate World Parkinson’s Day each year. We only have two types of medicine in our country, and the prices tend to increase from time to time. In other developing countries, however, there are new and different drugs available that better treat the condition. We want to use these medicines too, but we can’t because the government prevents us. Only recently, the government is starting to recognise the effects of non-communicable diseases – however, Parkinson’s is not on their list. When we asked them to consider Parkinson’s as an important non-communicable disease, they asked how many people in Ethiopia are living with Parkinson’s. We can’t answer this question because no prevalent study has been done in Ethiopia – and the government should be taking responsibility for that. At the moment, I can’t say that the healthcare system in my country is equipped to treat people with Parkinson’s. The Ethiopian government’s main focus has been on communicable diseases like malaria and HIV. 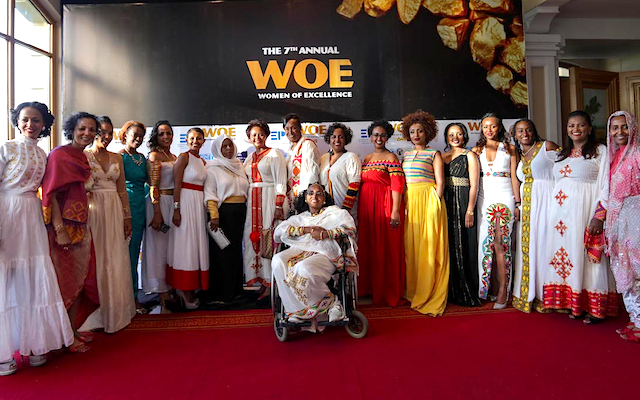 This year Kibra Kebede was awarded a ‘Woman of Excellence’ award by the Association of Women in Business (AWiB) for her work with PPSO-E. 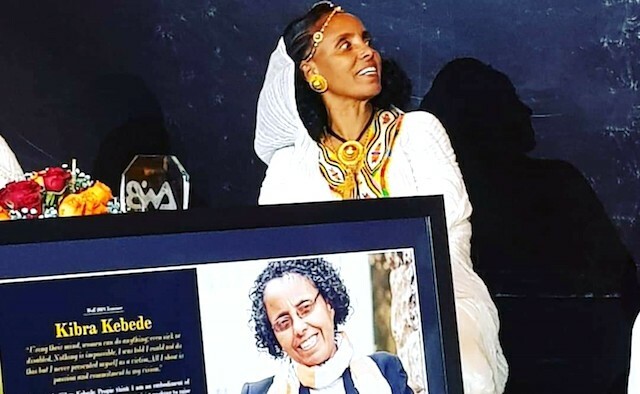 The award recognises and celebrates the positive contributions women have made to society, and Kibra has donated her prize of BIRR 100,000 to her organisation. To find out more about PPSO-E please contact Tsion Terfra at Parkinsonsethiopia@gmail.com.